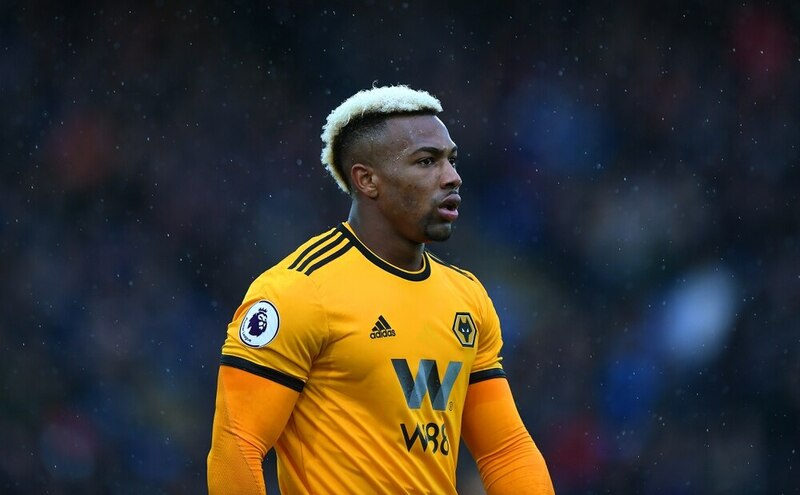 Club record signing Adama Traore says he can play 'miles better' than last week, as he and Wolves eye up causing a shock this weekend. Nuno Espirito Santo's team will host Tottenham Hotspur looking to end a two-game losing run which has seen them drop to 10th in the table. It's the first of a double header against the North London Clubs, with a trip to Arsenal following next weekend. And Traore, who started his first Wolves game in the 1-0 loss at Brighton, wants to show what he can do. "I think I can do miles better than the last game," he said. "I have many things to do." "I was very happy (to start), but not happy in the end because we lost. "It's been good for me to have the experience, keep learning and working. "We'll learn from the errors we did and keep going in the next game. Nuno has called for his team to become more clinical in and around the penalty area, with Wolves only netting nine times in 10 games. Traore, who joined from Middlesbrough for £18m, says they've been working on it all week. "The important thing is the finish," the Spaniard added. "We've been working this week in the final third of the pitch, we need more quality to score, but the good thing is we're making chances. "We've created chances in games and been good defensively, so now we have to finish the chances. "We've been working very hard, the team will have the right mentality to fight for a win. "Tottenham is a good team and we know the quality of their players. "We'll focus on the game and play 100 per cent. "I want to give more, but everything takes time. I hope I have more opportunities. Whatever is the decision of the manager, I'm still working and improving and still hungry." It's been a whirlwind career for Traore already, despite his tender years. He's gone from Barcelona and Lionel Messi in La Liga to Villa and Jores Okore in the Championship – and now he's back in the top half of the Premier League with Wolves. And he's still aged only 22. Befitting of his almost unique playing style, it's been a non-stop rollercoaster few years for the Spaniard. He says he's learned every step of the way – from the good times and the bad. "It's experience," he said. "I learned a lot of things at Aston Villa and Middlesbrough, I had bad times and good times. "Whatever the bad moments, you need to learn and keep going forward. "At Wolves we've lost two games, we'll have bad moments, we have to keep working. That's the mentality." Any player who wants to get to the top needs the right mentality, of course, and who better to learn from than someone like Messi? Traore watched the Argentinian genius at close quarters when he came through the Barcelona youth ranks (making a solitary La Liga appearance aged 17) and it's Messi's work rate that has stuck with him. "I think back to the players I saw every day," Traore added. "Messi, we used to see them at training and I saw how professional he is and how hard he works. Neymar was the same, the top guys work so hard. "I spoke with a few people training with Real Madrid and they said the same about Cristiano Ronaldo – he's the first one at training and the last one to leave. "These guys taught us about relationships, family and the experience as to how they got there and about dealing with pressure from a young age. I played for Barcelona aged 17. "Cristiano and Messi, they don't read the papers, because they are focused on the objective. "This is why I appreciate so much those two players. "I've learned a lot. People focus on how much they win, or the style of their lives. "My mentality is the process – how you get there." Traore left Barcelona for then-Premier League Villa in 2015. What followed was the hardest moment of his career. "After leaving Barcelona, this was maybe the most difficult moment," he said. "It was a quick decision to go to Aston Villa, then I was injured there straight away, I didn't know the language or culture. "It was my first injury too, so I was in the bed with my leg up and couldn't move for two weeks. It was a difficult moment, I couldn't do anything. "We had four or five managers in one year, they changed everything, we were relegated. "My family was nervous because we left Barcelona to go to the Premier League and were in the Championship. "Villa is a big team but it isn't like Barcelona and you could see the difference straight away, it was a big difference. "The experience is all good and I say thank you to God."